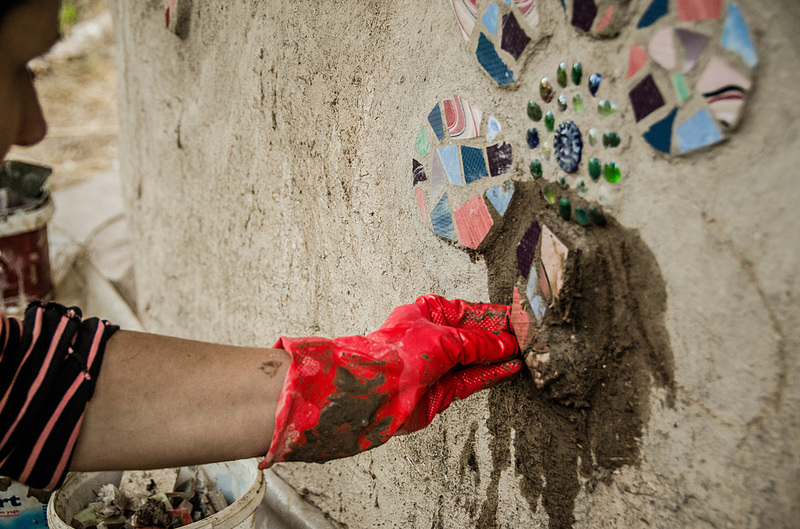 Sign up for my free earth plaster mini course. You'll get the earth plaster PDF free too. ...or really let your imagination swirl. When you get the hang of it, earth plaster is soooo rewarding. 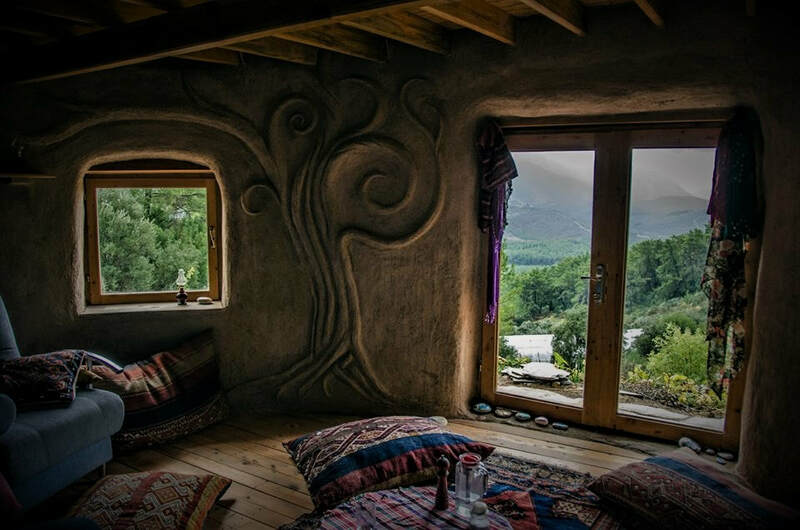 ​When you get it right earth plaster is incredibly rewarding. 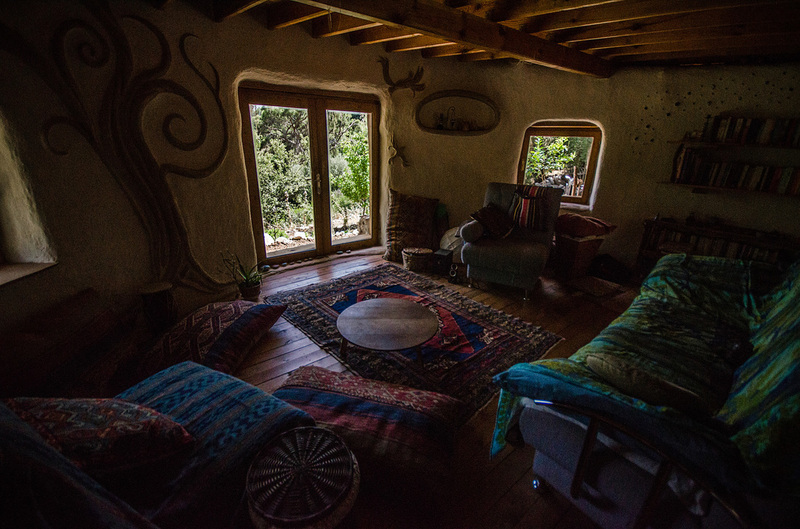 You can make sculptures, beautiful arches over your windows and more. It gives your house a wonderful warm feel, without the horrible damp coldness of concrete. After a rocky start I can finally say I'm in love with the stuff. (Earth plaster can be called clay plaster because it's the clay that is the binding agent in the mix). Earth plaster, as I have learned, is not simply a matter of getting your boots on and stomping about in a trough of clay. If you want it to look half way decent, it's a finely-honed skill. It took me just six weeks to get the structure of my house up, but nearly two years on and off to perfect the plaster. Get ready to experiment, because both your climate and your earth are going to determine the quantities of each ingredient that you need. How to make it? Here are a few pointers, and my own recipe. 1. If you are using your own dirt, you need to know how much clay is in it. In your plaster you want somewhere between 15 to 30% clay, so if your earth already has 20% clay, you probably won’t need to add more. But as I said, experiment. I've seen clay plaster work with up to 40% clay before! 2. Clay is your binder. It sticks the plaster together. But too much clay will result in cracking. Too little clay will produce a powdery weak plaster. 3. Once you’ve determined your clay content, get a pen and paper ready to note down your first experiment. 4. Run a batch of earth through a sieve to get the stones out. Sharp edges definitely hinder your plaster. As do thick roots or twigs. 5. 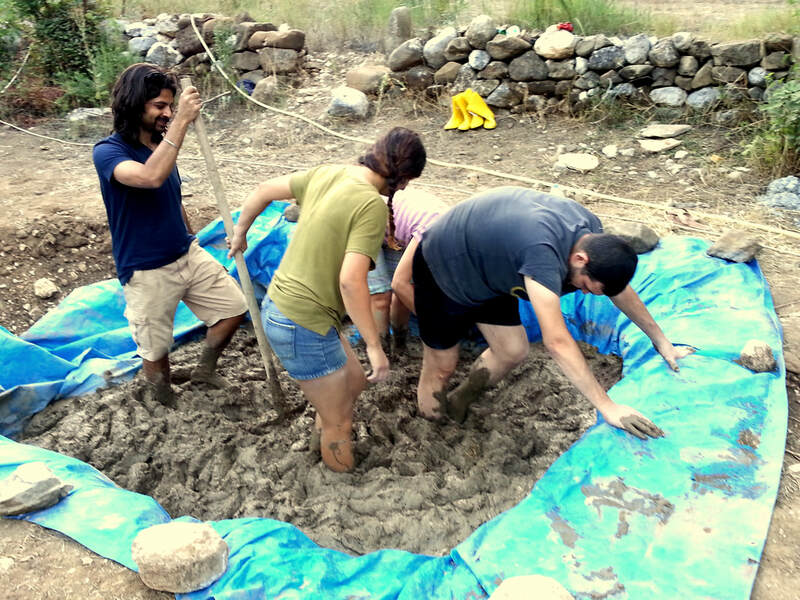 In our case, we achieved the best results when we first mixed wet earth, clay and straw (in a trough or pool with our feet) then left it to stew for a few days. We covered it with plastic to stop it drying out. This allows the straw to begin decomposing which creates a better bonded plaster mix. * In our case (I live in a climate which suffers extremes of humidity and aridity) after the percolation process, we had to add both lime and sand to the mixture. This (as we learned after the first year) prevented cracking and creates a smoother firmer finish. 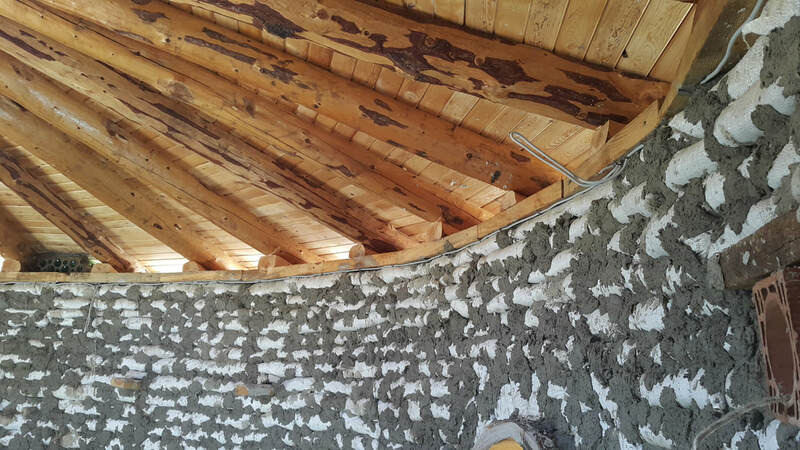 However, this is not standard practice, and other natural builders in other climates with other types of clay have found that lime caused their clay to turn dusty. So...you will have to experiment. Mix it really well, and let it percolate for about a week. If you have great clay and live in a consistently dry climate, this may be all you need to do, so give it a try. ​And use gloves and protect yourself and your eyes well if using lime, because it is caustic! It isn’t toxic but can cause nasty burns. You can't really get the whole plaster story from a recipe though. So if you want more in depth detail on earth plaster, other ingredients, and how your climate affects it, sign on for the PDF and mini email course. Get the free earth plaster PDF and mini course. Want this information in PDF format? Plaster is an art. There are many more details to know about getting your plaster right. 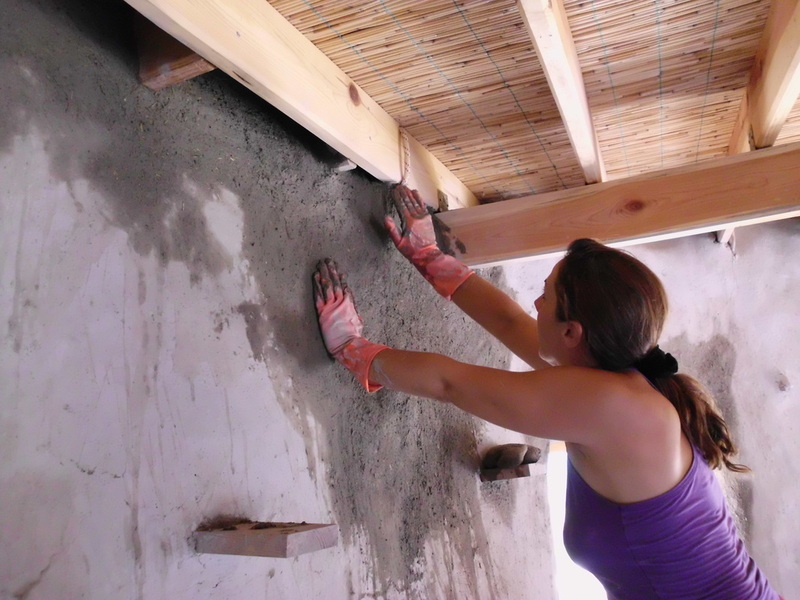 Sign up for the free earth plaster PDF and introductory mini course.